Taking a signposted tour of days gone by | The Dacorum Heritage Trust Ltd. Early trade signs reflected the work of men and women in images and as few words as possible, since most of the population were illiterate. The Ancient Egyptians were the first to advertise their wares by trade signs. The Romans continued the idea, and the pub sign of the Bush is a direct descendant of the ivy placed outside their ‘taverna’ or wine shops. (A holly bush or a bundle of hops were used in medieval and Tudor times). The Romans signs were not painted, but made from stone or terracotta, in relief. The White Hart derives from Richard II, who insisted the London inn-keepers had to hang out his sign or otherwise forfeit their ale! The Red Lion comes from James I and many other inn signs reflect royalty, or the nobility on whose land the inns stood. Trade names and logos became ever more popular over the centuries and today even pre-school children can instantly recognise popular brands. A wide range of signs are housed at The Museum Store in Berkhamsted. They contain a wealth of information about local businesses, leisure activities and changing styles. A ‘visit with a difference’ to the Museum Store in Berkhamsted could focus on these interesting examples of ‘folk art’ and communication prior to the digital age. 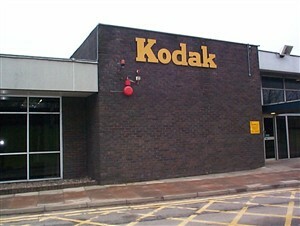 The large metal Kodak sign as it was mounted on the Company’s building in Swallowdale Lane, shortly before they moved to newer premises in 2000. After the First World War, the Gazette urged locals to take Odal to combat influenza, which was rife at the time. 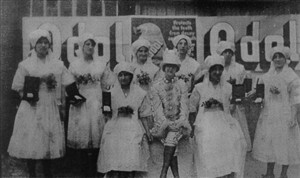 A group of female workers at the Odal Factory in Thomson’s Row, Berkhamsted, pictured on Peace Day 1919. In 1883, Gervase Stanley Brentnall moved from Eastwood, Nottinghamshire to London. 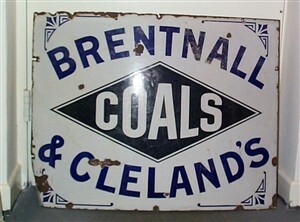 Together with his cousin, they bought the business of A Howard and Company at Kew Bridge, thus founding the company Brentnall and Clelands. 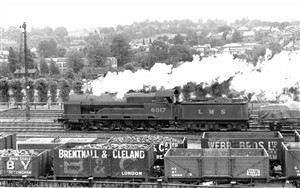 At its peak, the Company traded coal throughout the country, with local branches at Hemel Hempstead, Berkhamsted and Kings Langley. G S Brentnall settled at Roughdown House, Boxmoor, and played an active role in the community as President of Hemel Hempstead District Swimming and Life Saving Society. He died on 15 April 1937. 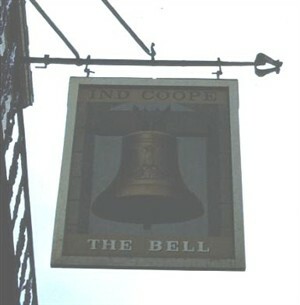 The sign for the historic Bell at Two Waters, before the inn was replaced by a McDonalds fast food restaurant. 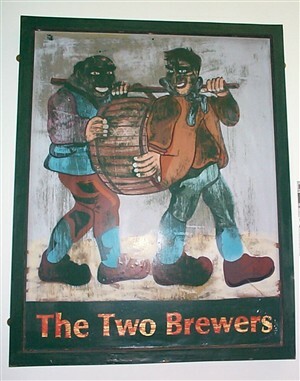 The Two Brewers pub in Chipperfield underwent a revamp and as a result this old sign was passed to the Dacorum Heritage Trust.